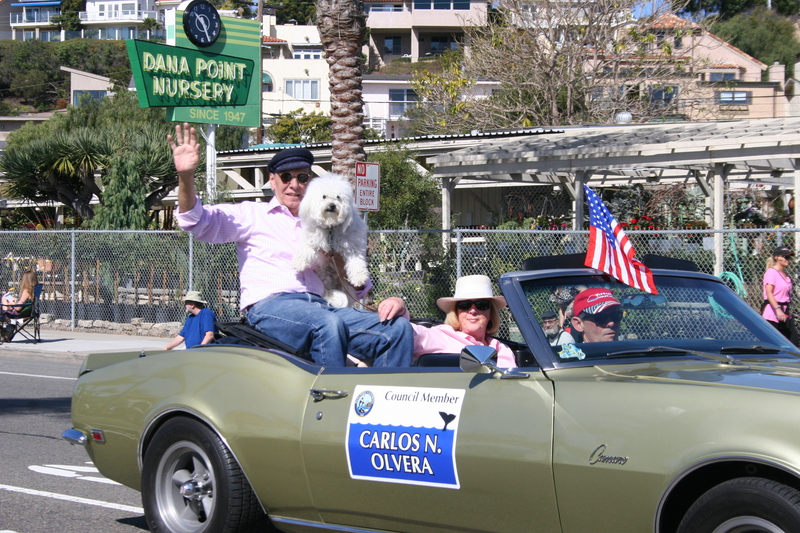 The Dana Point Historical Society will honor Carlos and Georgelean Olvera for their contributions on Wednesday, May 24 during their Founders’ Day celebration. The event will begin at 6 p.m. at the Dana Point Community House. 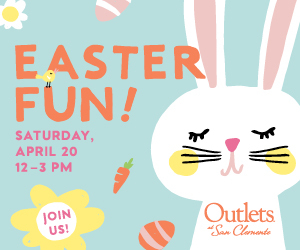 There will be a buffet reception followed by the Society’s program at 7 p.m.
Bruce Beal and Elizabeth Bamattre will be the Master and Mistress of Ceremonies and will recount the Olvera’s long record of support to Dana Point and Orange County. 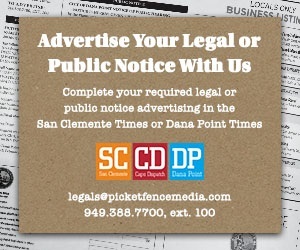 For more information, call 949.248.8121. Really? Who comes up with this crap. honor this seriously inept council member, .that never would have won again? Honor the guy that spent millions on legal fees to keep residents out of strands beach? honor the guy that approved the majestic project regardless of the will of the people ! I guess there is honor among thieves. Larry – Your comment is incorrect about the Strand development. As a resident I too was upset at all the law suits. After I was elected I lead the council into negotiation rather than sueing. Those lawsuit were something I inherited by previous councilpersons in debtited to the developer. Also in the Majestic Project it was approved in accordance with the Lantern District Plan, created by a citizens committee. It changed the DP height limit from 35 ft to 40 ft. I personally would not have supported it because it changed building design from peaked roofs to flat roofs. Your plan was faulty. Quoting Carlos :” previous councilpersons in debtited to the developer” – meaning Bill Brough?. No, Scott Schofell. Brough was with me in settling. Prior councils made a big mistake accepting the fence as city owned. The city does not own the fence to any other gated community! I am with Larry. This is a historical society that knows how to forget the past. The correct spelling would be Strand or Strand’s. Access to The Strand is limited by hours set by the County as a County beach and had unlimited access to the beach at some locations and not others. Mr. Olvera is to be commended for approving the Majestic / Raintree project. It will provide needed employment for contractors, extra demand for local businesses, and added tax revenue for the city. Just as importantly, it will allow more people to live in and enjoy our coastal community. An added bonus is that we should get to hear the whining of the no-growth crowd for years to come. Mayor Olivera was a wonderful leader. iIt’s shameful to denegrate his name with this nonsense. Mayor Lewis and Councilman Lewis have done a wonderful job stamping out Development with Measure H. The folks who voted for it were fed a crock of lies. Now we’re stuck with empty lots in the town center for the foreseeable future. Gotta love people like Larry who like to sound magnanimous about it. Magestic was a bunch of dirt, in the middle of downtown, and now we are getting a beautiful property that will hopefully bring some nice shops to the area. Yes, 4 story apartment building, filling every available inch of dirt is a much better use of the so-called town center. Before Majestic was approved the lots were filled with businesses, not dirt. After approval the buildings were demoed and then we had the dirt lots. I wish condos as originally approved had been built as opposed to apartments, but nothing could be uglier than the condos above Luxe. Regardless, the increased number of residents added to the Lantern District may be the push needed to make development of at least some of the dirt lots economic.